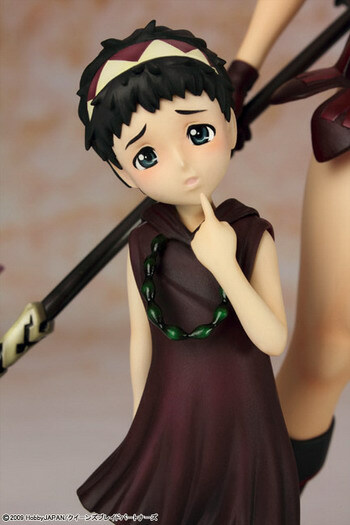 May 17th, 2012 By: GGT Category: 2012/09 release, Figure News. R-line Griffon Enterprises is going to the Weapons Shop Cattleya ( 武器屋カトレア ) Sukesuke Ver. ( スケスケver. ) 1/7 PVC figure from the visual book/anime “Queen’s Blade”. Will be released in September 2012. Around 225mm tall, 9,500 yen. Castoffable. I just double checked it. This is the third alternative color version of this Cattleya from Griffon Enterprise.